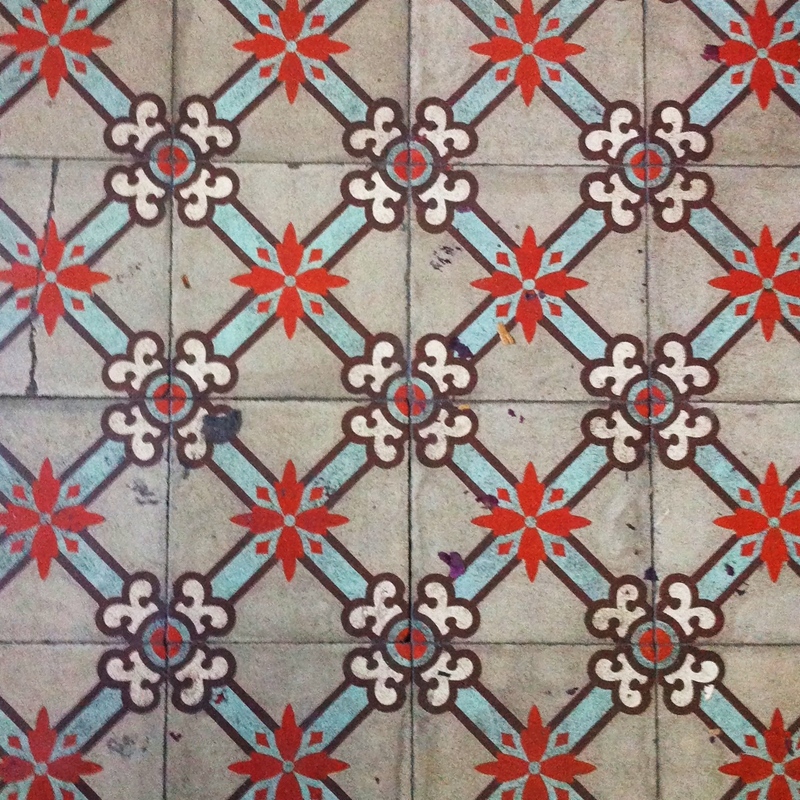 One of the things that amaze me of the houses of Barcelona are the mosaics of many floors of the Eixample. This pavement is closely linked to the Modernist movement, and for that reason it is so commonly found in Barcelona. It was a technique imported from France that was very popular among the families of Barcelona's high society. One of the leading manufacturers was Escofet, who collaborated with architects as Domènech i Montaner and Gaudí in developing unique hydraulic mosaics, such as those found inside the Pedrera, hexagonally shaped and green-apple coloured, which later inspired the tiles of Passeig de Gràcia. 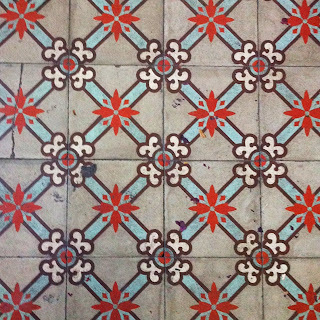 There was a time when many people, trying to be practical, covered these tiles with other materials such as wood flooring or ceramic which looked more "modern" and uniform. Fortunately, it now appears that there is some consensus in considering these ceramics positively and therefore make the effort to preserve them. Some have beautiful designs, others are more discreet, but they all have their charm, and are still produced using traditional methods, so can be considered unique pieces. Those of you who have this kind of mosaic at home, take care of it and preserve it!